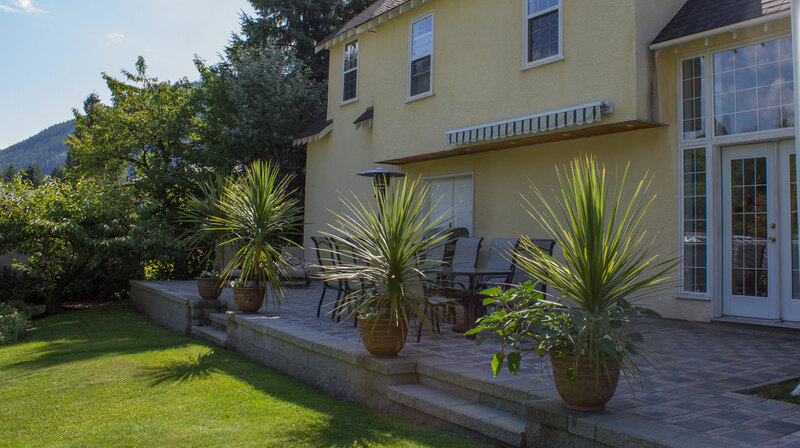 Located off Highway 22, Genelle House B & B Guest House is just steps from the Columbia River and its world-renowned fly fishing.A view of the mountains, gardens or Columbia River is offered in each room at Genelle House Bed & Breakfast Guest House. 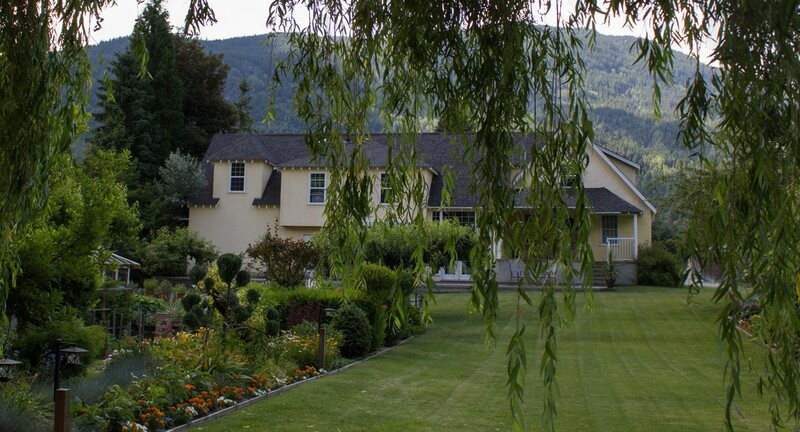 The property boasts manicured green gardens with space to explore Genelle House Bed and Breakfast is just minutes from Birchbank Golf Course, and is less than 15 minutes’ drive from Castlegar, B.C. to the north and Trail, B.C. to the south. Rossland, B.C. and Red Mountain are less than 30 km away. We cater to special diets. Venue for Garden Weddings. Brunch Parties (during the late spring, summer and early fall.) up to 8 - 10 people. A full breakfast is served daily fresh from the garden when in season. Our own homemade preserves and jams. Fresh fruit and local produce in season. Eggs from our chickens. We had a great time at Genelle House. The breakfasts were unsurpassed, using many ingredients from the garden. The huge back lawn was great for an evening's bocce or croquet game, or for sitting and relaxing. The accommodations also were top-notch, with beautiful furniture made on the premises. We won't hesitate to go there the next time we are in the vicinity. Where to start, Todd and Gordon have done a fantastic job creating a little piece of heaven. Their B&B is beautifully situated in Genelle, with an amazing garden (view). The room was very comfortable and had a very comfortable sleep. Oh boy, waking up the next morning I was in for another treat, the extra special breakfast! Gordon had made an exceptional smoothie, after which I was treated with a freshly made omelet with items from their own garden (eggs, spinach, onion). Wow, delicious! I had more than a great stay here, and am looking forward being back here next month. Super! An absolutely beautifully appointed B&B. Rooms are lovely and the grounds of the property are a pleasure. The food was terrific and the hosts were so friendly and gracious. If all B&B experiences were like this, I would never sty at a hotel again. We had the pleasure of staying at this lovely B&B in Genelle for three days in August of this year. 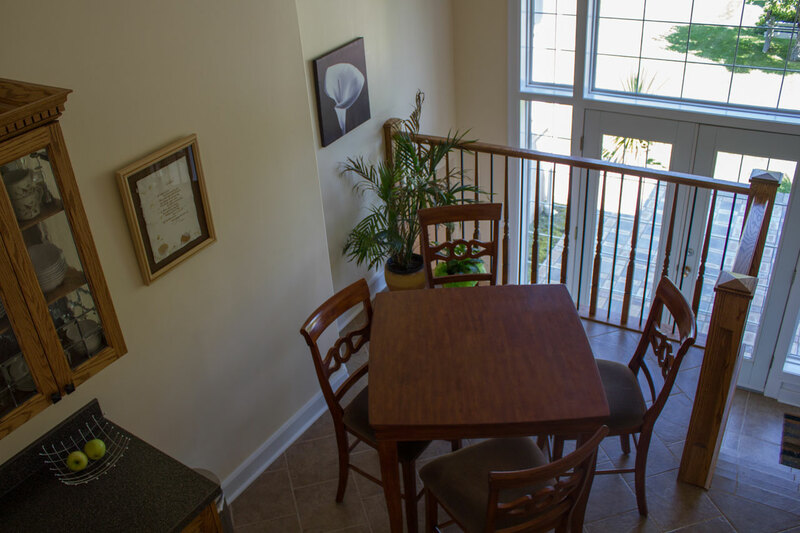 We found the rooms to be immaculately clean and beautifully furnished. The grounds were lovely with several options of places to sit and enjoy the grounds and patios. Our hosts, Todd and Gordon, were very friendly and exceptionally accommodating. The breakfasts were wonderful and included fresh fruit and vegetables from their garden. We would absolutely go back to stay again. We found it convenient to travel to either Trail or Castlegar for further sightseeing and entertainment. There are several lakes and skiing within reasonable driving time accompanied by beautiful scenery. We give this B&B and 10/10. Thanks again to our great hosts.